Tailwind will always show you why your post failed to publish, so you know exactly how to fix the problem and move forward! All you need to do is look for a Red Yield Sign that says Failed Posts at the top of your scheduled posts page in publisher. Click that. You'll then see all the posts that failed, hover over the Red Yield Sign to the right of the failed post and read the tool-tip that tells you what happened. Helpful Tip: If it looks like all your posts failed due to the incorrect size, then these will continue to fail until you resize them in order to match Instagram's required specifics (unfortunately, this is out of our control). 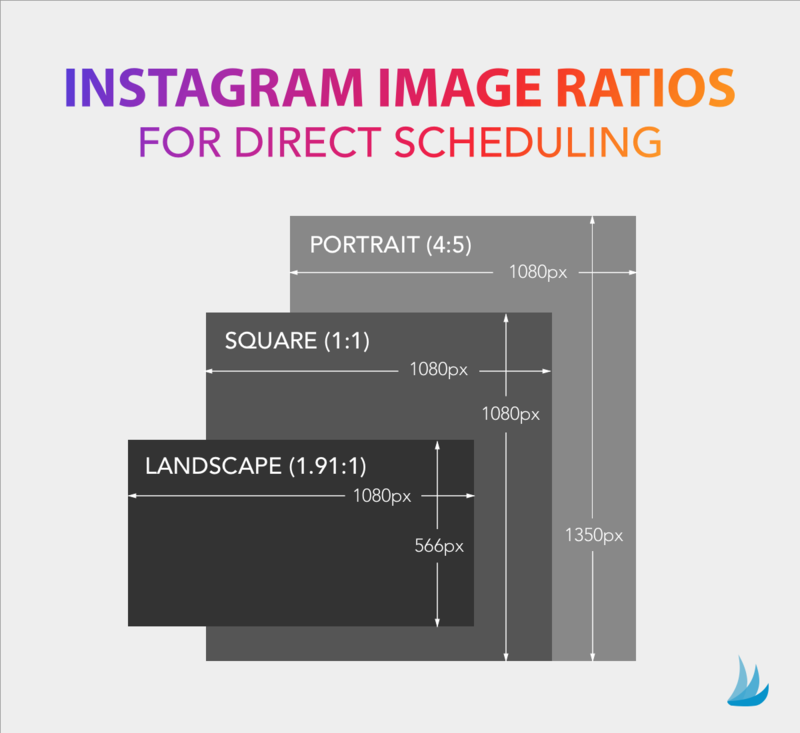 All Instagram posts you schedule will now automatically send at the times you've queued them for provided that the images you've scheduled and uploaded are the correct aspect ratio as required by Instagram's API for automated publishing. All of your images must be within a 4:5 to 1.91:1 aspect ratio range to correctly publish. If they aren't within this range they will fail to send and will appear in your Scheduled page as a 'Failed Post'. These will need to be cropped to meet the requirements and then rescheduled. Great news! No more failed posts due to aspect ratio! Cropping for Instagram is now available in the Tailwind Dashboard! The ideal size for a high-quality portrait image (recommended for marketing purposes for maximum screen real estate) is: 1080 pixels wide by 566 pixels to 1350 pixels high. Need Help Changing Your Aspect Ratio? Learn more about cropping within the Tailwind Dashboard in our Knowledge Base article: How can I crop or resize my Posts before they are published to Instagram? Most failed posts are due to format restrictions on the Auto Post method or by using too many hashtags in the caption. If you wish to post an image that is an unsupported aspect ratio or size, it may be easier to schedule it as an SMS Notification or iOS Notification post, and then crop and adjust the image using Instagram's app.